The first assignment we did was from the “Amazing Paper Pets” book. I decided to make the chickens. After folding and completing the paper pets, the next challenge was connecting the servo. It was easier said than done because the servo needed to be fastened and secured to the small paper handle. It was also difficult because the chickens did not move forward and backward, but only forward, so you had to be careful to make sure the servo wasn’t turning the opposite direction. The coding for this was very difficult for me. I was able to get the servo to move, but the communication through the serial monitor was tricky. I was trying to find a way to be able to input values that affected the speed and direction of the servo but nothing I tried worked. I used the “byte” function that allowed me to assign values to different key inputs. 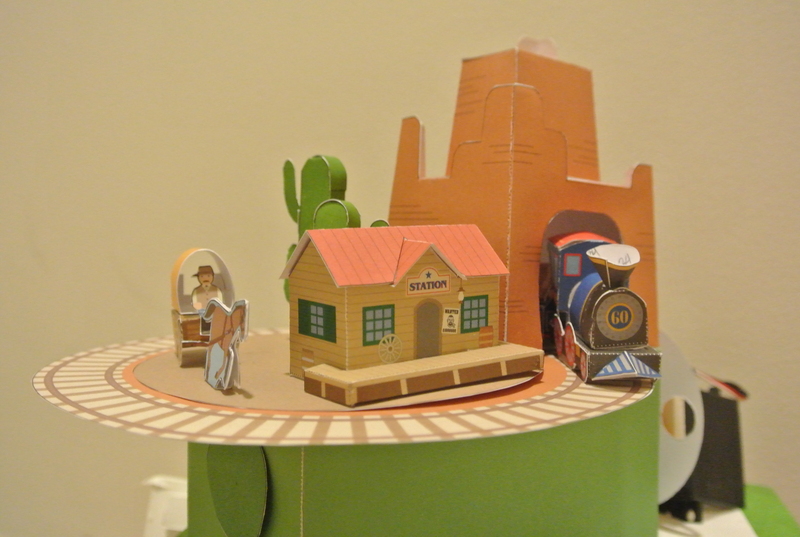 The next paper model came from the “Karakuri” book. I decided to make the train. This took some time to build since there were many little pieces, but the mechanism was very simple. There were two gears that moved the train around in a circle. 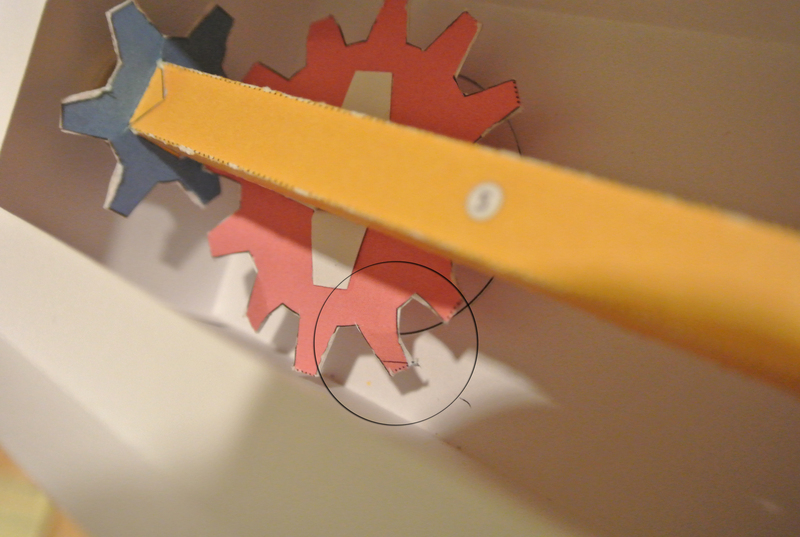 Unfortunately at some point in my homework, One of the paper gears folded over and then caused a “bump in the road” for the train. The fold in the gear made the train get stuck as it was coming out of the tunnel. I have to help it and give it an extra push to have it continue working. The difficulty in the code came when I tried to average the values. I think it still works rather smoothly considering this particular code isn’t averaging the values but instead just changes when reading between zero to one food, one to two feet and then three to four feet. I wished the gears didn’t get worn out because it would have been nice to see the continuous motion of the train without having to help it along the way each time. Overall, this was a more interesting interaction since I could play with distance to control the speed of the servo rather than just using the serial monitor.